Ralph Murray Hamlin, 85, was reunited with his wife and boys on February 12, 2019 after a rapid decline in his health following a fall. He was born on September 13, 1933 in Bicknell, Utah to Jennie Rasmussen Hamlin. At age 15, he began working to help support his family. At age 18, he served in the Air Force during the Korean War. After returning home he met and married his lifelong sweetheart, Gloria Mclean, on January 1, 1960. He worked as a large crane operator, on some of the largest and hardest jobs in the western United States. After many years, he retired from the Operating Engineers Union. He loved his family and was a devoted husband, father, grandfather, brother, uncle, and friend. 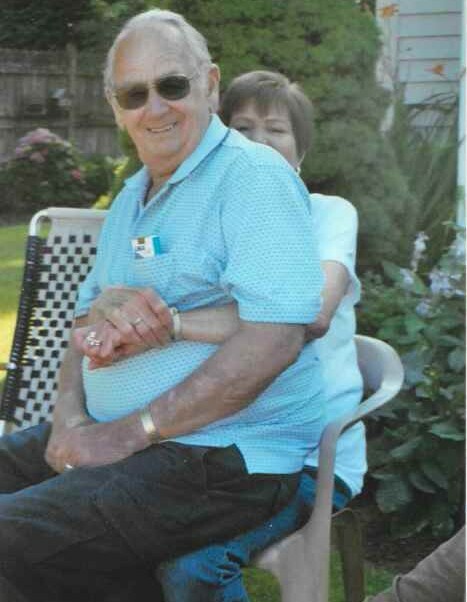 He loved the outdoors, building things, and serving his family. Proceeded in death by his wife: Gloria Mclean Hamlin; Sons: Michael M. Hamlin and Fred “Gordon” Hamlin; Sisters: Joyce Nielson, Evelynn Marvidikis; Brother: Billy Hamlin; and Mother: Jennie Hamlin. Survived by Brother: Kim (Marsha) Hamlin; Sister-in-law: Cheryl (Ron) Santhin; Daughter-in-law: Gina (Murry) Hansen; Grandchildren: Austin (Brynn) Hamlin, Colton (Sheila) Hamlin, Alexis (Craig) Whiting, Jaren Hamlin, Jamie Hamlin; Great Grandchildren: Angelina Hamlin, Nevaeh Hamlin, Liam Hamlin, baby boy Hamlin and many other family members that love him dearly. Graveside Service will be held on Saturday, February 16, 2019 at 1:00 at the Tonaquint Cemetery. Following the graveside, a luncheon will be held. Special thanks to Natalie Larsen for her love and care, as well as, the nurses and doctors at Dixie Regional Hospital for their kindness and care.